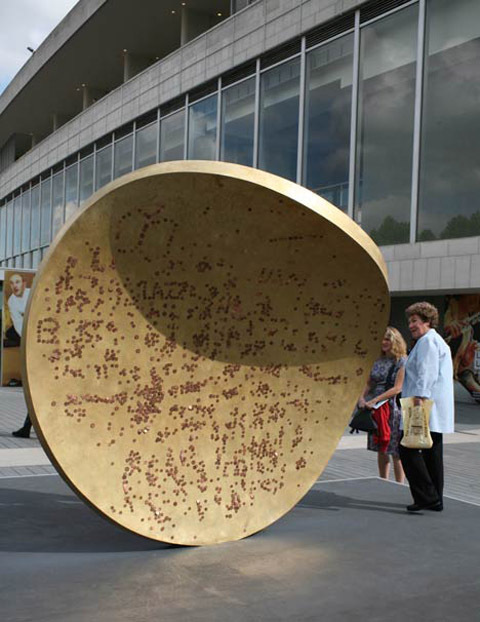 Giant magnetic coin-like structure invites people to leave behind their spare pennies, when passing by the Southbank Centre in London. 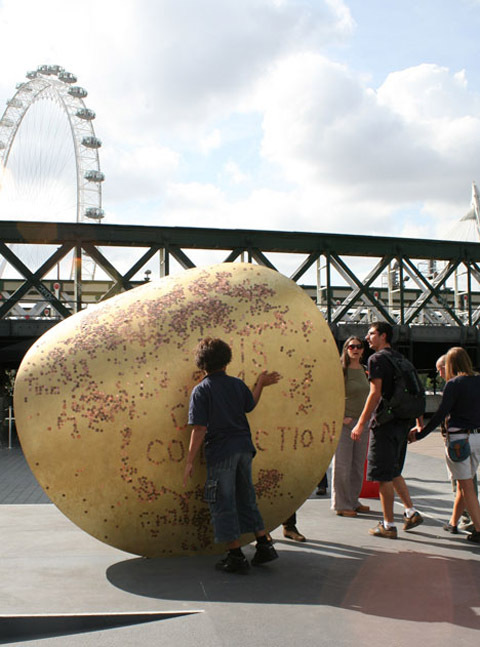 The installation will close on 8 October 2010 and £1 will be donated to children’s charity Barnardo’s for every penny attached to the structure. 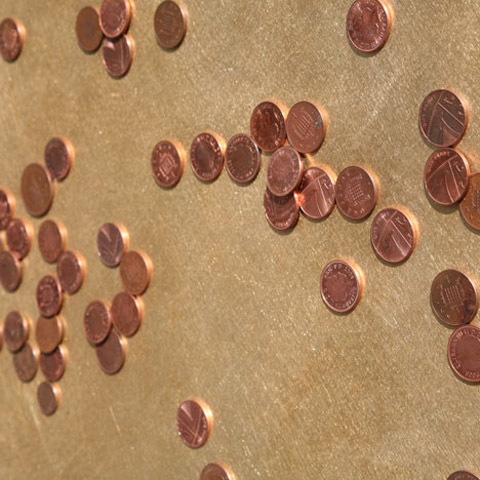 Drop is an inspiring example of how to playfully engage people in making a donation – the interaction is simple, intuitive, and fun, as people move around the collected pennies like they do with fridge magnets, drawing or writing messages. 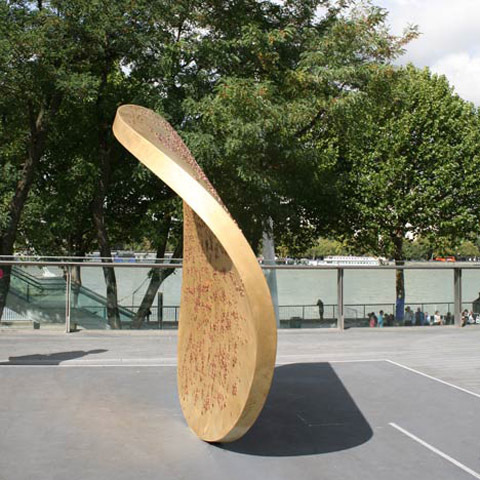 Drop stimulates visitors to purposefully leave a trace, feeling ownership of their space, while giving back to the community.